If you’ve been following along as we share 12 ways to replace conventional pesticides, there’s a good chance you’ve eliminated at least one or two used outdoors, and on your pets. Today, we’ll move inside, where conventional pesticides are most prevalent. That’s right, the majority of exposure–80%–happens indoors! We’ve all been there. You go to sleep, and when you wake…ants! Ants on the counter, ants in the sink, ants on the ice cream bowl that you forgot to rinse after your midnight snack ? And what’s the first thing you do? 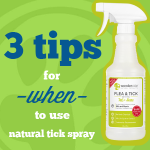 Grab the conventional bug spray from under the sink. While you might see some improvement in your ant problem, what you don’t see is the cancer, endocrine disruption, neurotoxicity and other health risks associated with the use of conventional pesticides. 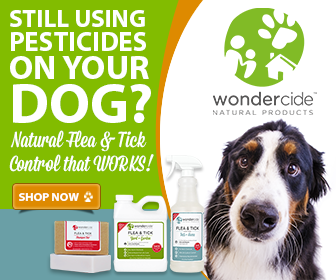 Effective against ants, roaches, beetles, fruit flies, fleas and hundreds of other pests, Wondercide’s Natural Indoor Pest Control is all you need to send an eviction notice to unwanted bugs in your home. And since it’s made from natural, food-grade ingredients, it’s safe to spray near food, furniture, pets and people. Plus, it won’t stain or leave an obnoxious chemical odor looming throughout your home. Designed to kill pests hiding in cracks, crevices and crannies, bug bombs work by dispersing chemicals, well, everywhere! And when the box says things like, “Do not come in contact with this product in any way, through directly or drift,” “If odor persists, do not enter,” and “May result in injury to people, or damage property,” it’s probably not a good idea to fill your entire home with it, either. We agree–getting solution into all the tight spaces in your home is the quickest and easiest way to knock out an infestation. But with a Wondercide compression spray, you don’t have to poison to protect. Houseplants are a great addition to any home or office–and may even increase your well-being! When you find your plants starting to accumulate scale or aphids, it’s a common to grab pest spray or granules from your local nursery or home improvement store for a quick fix. Made from ingredients like pyrethrins, highly toxic Piperonyl Butoxide–which has been linked to cancer and dysfunction in the liver and nervous system, these treatments may be doing more harm than good! SCORE! Not only does Wondercide’s Home & Garden Insect Control knock out common house pests like ants, gnats and moths, but it also tackles scale, aphids and powdery mildew on your favorite home greenery! 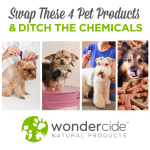 Like all Wondercide products, it’s made from natural, powerful ingredients that are sourced right here in the USA. For best control, apply as a protective spray early in the season. To treat an existing problem, simply spray all areas of the plant thoroughly (especially new shoots!). Reapply every 7 to 10 days. If you’ve ever had a pet with fleas, or know someone whose pet has had fleas, then you know they are no fun–and even less fun to get rid of! Conventional home flea sprays use chemicals to kill adult fleas by contact, but do nothing to control the lifecycle. Though you might see initial relief, your flea problem will be back with a vengeance before you know it. 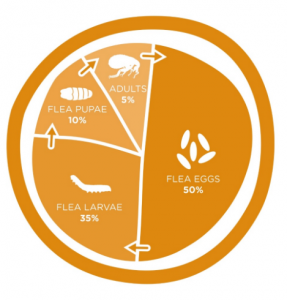 Since the lifecycle makes up 95% of the flea problem, it’s imperative that your solution not only kill adult fleas, but other life cycle stages, as well. Enter Flea & Tick Control Pets + Home. This powerhouse uses essential oil blends to kill and repel adults, eggs, and larvae, naturally. Since it’s non-staining and won’t leave a residue, it’s safe for use on all types of surfaces, and around pets and people. So there it is! 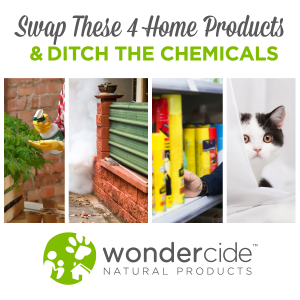 12 easy ways you can ditch conventional pesticides commonly found in homes across the globe. Let us know in the comments that you’re ready to make the switch! 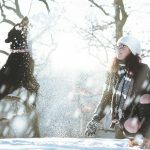 What is a Safe Outdoor Temperature for Your Dog This Winter?